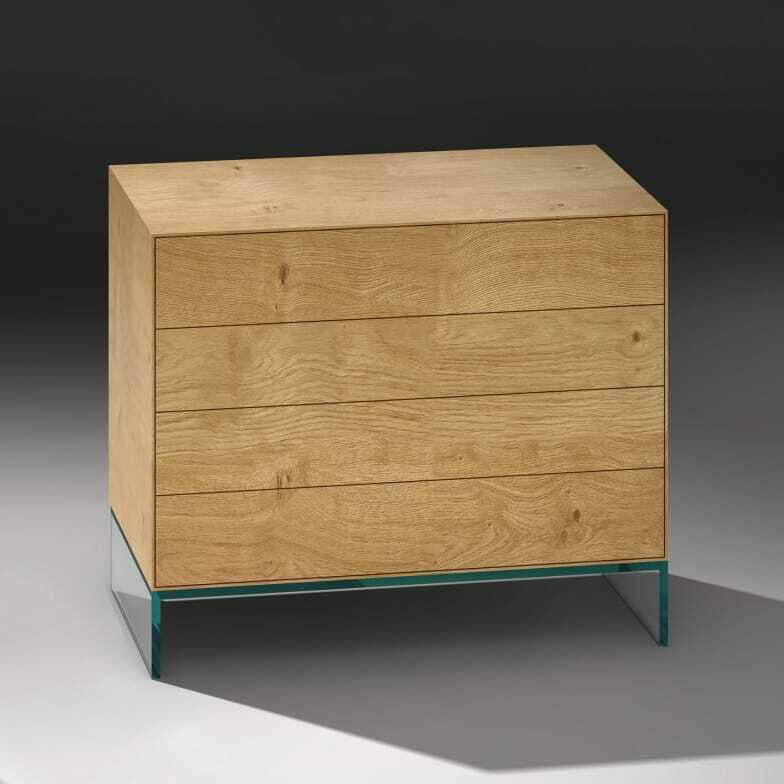 Modern commode in a unique combination of noble glass and high-quality solid wood. Puristic modern design in a unique combination of noble glass and high-quality solid wood result in a very special design chest of drawers, our new model: LISBOA. In this solid wood chest of drawers are 4 or 6 solid oak drawers, all with integrated push / pull function, in the body of solid oak or walnut incorporated. The high-quality mitred edge connection also lifts this design chest of drawers far beyond a "normal" chest of drawers. The special base made of transparent glass is also mitred and gives the entire ensemble a visually light and at the same time solid appearance in its captivating design. For henceforth 25 years the family enterprise Dreieck Design is well known for modern glass furniture design made in Germany. Do you have a question about "Lisboa"? How can we contact you?